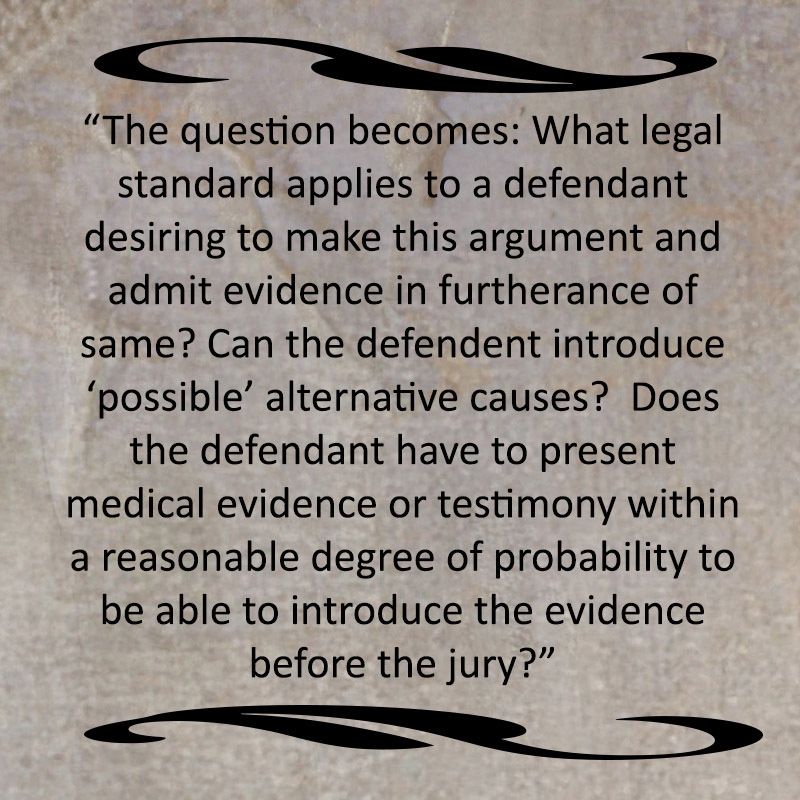 If a qualified medical doctor testifies on behalf of the plaintiff that certain claimed injuries were likely caused by the underlying incident, and in response, the defendants sought to introduce competing, alternative causation theories, then the defendant should be required to introduce such competing theories based upon the reasonable degree of medical probability standard. 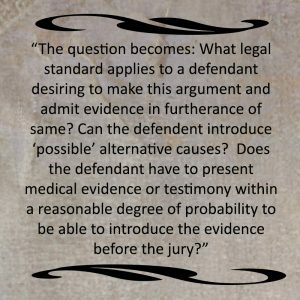 It would be patently unfair and confusing to the jury to require the plaintiff’s evidence to satisfy the standard, but at the same time allow the defendant to only satisfy a possibility standard. A defendant should not be allowed to engage in a shot-gun approach of possible cause of an injury and see if one sticks. At the time of this writing, however, this practitioner is unaware of any Alabama appellate cases that have directly addressed the issue.